Hi everyone, today we bring you the lovely Cyndi Tefft. Between is her debut novel that she released in April. 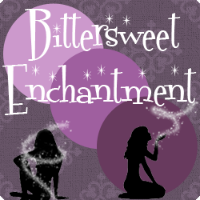 Cyndi brings you all today a great interview and a chance to win a eBook copy of Between. Thank you for being here to talk about you and your new book, Between and for hosting such a great giveaway. I am reading Between and I much say so far I love it! :) I have some questions for you about Between to help my readers find out who you are and what your book "Between" is all about. I live in Seattle, though I’ve only been here for about three years. I grew up in Oregon and have lived in the Pacific Northwest most of my life. I am a self-proclaimed Scot freak, though you’d have to go back about 400 years to find a drop of Scottish blood in my ancestry. I know because I signed up for Ancestry.com specifically to research that! I was watching a video with Stephenie Meyer where she was talking about being a stay-at-home mom who had a dream and wrote it down. She made it sound simple and I wondered if I might be able to do the same. Having been through it now, I can tell you that writing a book is not simple, but it is something that you can do if you set your mind to it. About that same time, I was reading Diana Gabaldon’s Outlander series and completely fell in love with Scotland and the history of the nation. I wanted a Scottish hero of my own, so I wrote one! Do you have a favorite scene or character from this book? My favorite scene is one where Aiden takes Lindsey to “meet” his parents (in a memory from when he was a child). His parents were so alive and vibrant in my mind that they leapt off the page and became real to me as I wrote that scene. Where do you do your writing? Is there anything you need to have with you while you write? I usually write on my laptop in the living room on the couch, though sometimes I retreat to the bedroom if I needed some peace and quiet. I work a full-time job, so I mostly write in the evenings and on the weekends. Brian Crain’s piano music is always playing in the background. I must have listened to his album, Sienna, at least 1,287,649 times (give or take)! I try not to snack while writing because I am so focused on the story that anything I put in my mouth would be empty calories, but I love Diet Pepsi and always have a glass of that at my side when I start! What was the most challenging part of writing this book? The hardest part of being an author is the vulnerability that comes with sharing your work. Rejection is guaranteed at some point along the way and no matter how many people love your book, there will be those who don’t. Learning to deal with rejection and move past it has got to be one of the most difficult parts for me. Still, there are NY Times bestsellers that I have rated as one star, so it’s important to remember that everyone has different tastes. It doesn’t mean the work is bad! What made you decide you wanted to do self-publishing? I originally wrote the novel just to see if I could, not to get it published and certainly not with any visions of money or fame. It wasn't until I was most of the way finished with the first draft and talking with friends about the book that the question of publication came up. I knew nothing about it and spent over a year researching, querying agents, making revisions, etc... I got caught up in the rollercoaster that is publication and it sucked the joy out of writing. So I decided that self-publication was the better route for me. It allowed me to get the book out to readers who enjoy this type of story, while preserving the joy and creativity of writing for me. Do you have a favorite book or author that you’re always recommending to people? Diana Gabaldon’s Outlander series is my favorite (particularly book three), and I tell everyone I know to read it! 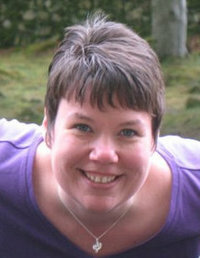 She is in the acknowledgments section of Between since her books inspired my love of Scotland. I even mailed her a copy when I got the first shipment of books! I don’t know if she’ll like it, but I was tickled all the same to send her one. When writing a book do you plan it out before you start or do you just begin and see where the story and characters take you? I am definitely more of a pantser than a plotter. I wrote an outline for a book once and by the time I was done, I didn’t want to write the book, since I felt like it was already done! I like not knowing what’s coming next and having the characters guide the story as their personalities unfold. Well, I can’t give you an average since I’ve only written one book. *grin* It took me six months to write the first draft of Between and I spent over a year editing it. I don’t particularly enjoy editing, so it was a very long year! What are your plans for the future? Any other awesome ideas for books that you can share with us? There will be a sequel to Between. I can’t say much since I don’t want to give away any plot points from the first book, but I can tell you that it’s called Hell Transporter. Aiden’s job is to transport souls from earth to heaven, and the second book has to do with his counterpart. I’ve got a cover in mind that is similar to Between’s, but with a red flame instead of blue smoke. I think it’s going to complement the first book beautifully. I am about one-third of the way through the first draft of Hell Transporter. 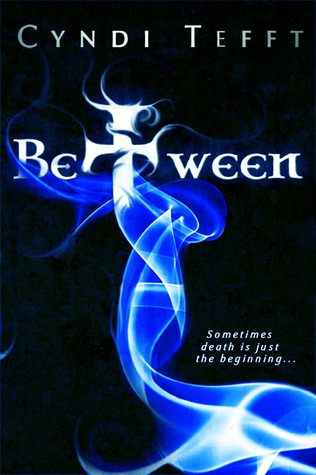 Now that Between has been launched, I will turn my attention to getting the sequel finished. But let me just say, the ending… oh, you’ll like that! Just for fun: If you could have one super power what would it be? Oooh, great question! I have always loved languages, so I think my superpower would be to communicate with everyone and everything in its native tongue. Heck, I’d even go all out and expand it to include communicating with plants, animals, and inanimate objects, too. Why not? That’s why they’re called superpowers! 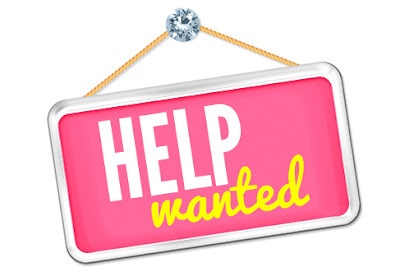 Do you have any closing thoughts or final remarks you’d like to share with my readers? Word of mouth has always played a crucial role in marketing products, but it’s even more important to the self-published author. Very few people respond to an author saying, “Hey, buy my book. It’s awesome!” So it’s important for authors to find others to shout it from the rooftops on their behalf. Book blogs are becoming increasingly important in the changing world of publishing, as many people look to them for suggestions on what to read next. In truth, readers don’t really care who published a book. They just want a good story and they’ll be more willing to give unknown authors a try if a trusted source (like a blogger) recommends them. I greatly appreciate the honor of being featured on your blog. Thanks so much for recommending the book! Thank you Cyndi for taking the time to answer questions for us today. So now comes the extra fun part. 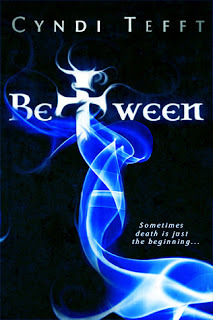 Cyndi is offering a eBook copy of Between to one lucky winner. Make sure to stop by and say Hello to Cyndi today. I'd love to be entered. I'm a follower. Thank you for the giveaway! Great interview! Nice interview. I'm impressed that it only takes about six months to write a book. Cool interview. Thanks for the giveaway. Aiden sounds like interesting hero. Great interview! My mother is from Oregon. I hope to live there some day. Stephenie Meyer's story is indeed inspiring. It allowed me to think that even though I'm in my late 20s, maybe I can still write (although I haven't written a book yet). New GFC and Twitter follower. Great interview, and the book sounds interesting. 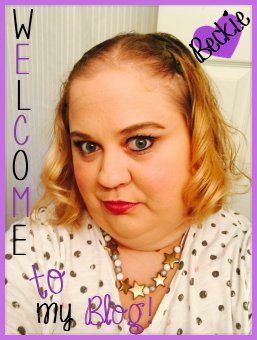 Thanks for the invite to view your blog - I'm a new follower now.